Area rugs can transform a room. With personalities of their own, area rugs take center stage. Traditional or contemporary, sophisticated or casual...whatever your style, FloorCraft has an area rug for you to fall in love with. These beautiful designs provide the luxury and comfort you deserve and desire. At FloorCraft, our specialized designers are trained to assist you in finding the right area rug to begin your decorating journey. If you're inspired by art and fine craftsmanship, then you will appreciate the exclusive, complexity of hand-knotted rugs. Hand created in exotic locales such as Pakistan and India, these rugs often take up to one year to create. Families and even entire villages work together to create these masterpieces. The rugs will often tell a story of the community through their intricate patterns. Many villages use rug making as a social opportunity. The art of rug making is taught to even the smallest of children. Once your feet sink into the fibers of these one-of-a-kind rugs, you'll feel the luxury and the difference. The process is incredibly complex. Hand-knotted rugs are typically made with wool or silk. The rugs are created by looping wool or silk around the warps one at a time, creating a thick pile. Cotton yarn is then woven through the warps to hold them together. Due to the generous time it takes to make these rugs, they are the highest quality. 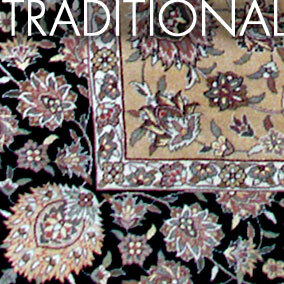 Hand-knotted rugs can last a lifetime and are often passed down for generations as a cherished family heirloom. 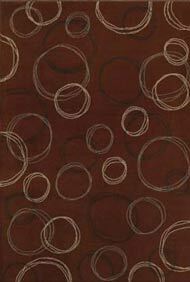 If you love the look of the hand-knotted rug, but budget is a concern then hand-tufted rugs are a perfect alternative. These rugs can be made more quickly by using a tufting gun; a hand operated tool that punches strands of wool into stretched canvas on which the rug design has been drawn. The pattern is then filled in with the appropriate color wool. The rug is removed from the frame and fabric is glued to the back. From the surface it is difficult to differentiate from a hand-knotted rug. The cloth backing is the clue. It is most often less expensive than hand-knotted rugs making it available at a variety of different price levels. 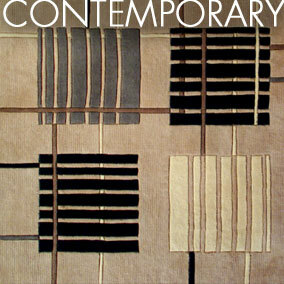 Machine made rugs are plentiful and affordable. They make perfect options for kid's rooms and are practical alternatives for high traffic areas like kitchens. When multiple rugs of the same design and size are needed throughout the house, then machine made rugs are a good option. 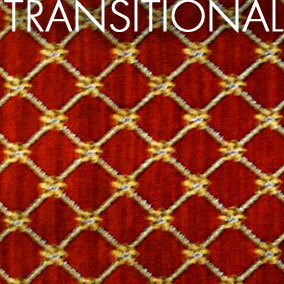 These rugs are woven on wilton or axminister looms or tufted on tufting machines. These can be constructed of wool, nylon or olefin pile. 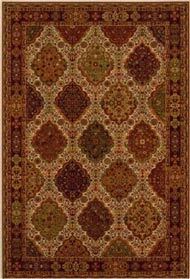 Due to these rugs being woven or tufted on machines rather than made by hand, they are always considered reproductions. Clean food and beverage spills immediately by removing the excess material gently with a spoon and then use a solution of clear, non-bleach dish washing detergent (1/4 tsp detergent to 32 oz water). Gently agitate the pile and blot with white paper towels until no transfer of the spill or color. Rinse by spraying with clean water and blot dry. To help the area dry faster try placing a thick stack of white paper towels on the area and then put a smooth bottomed casserole dish on top. Use a milk jug filled with water or some other heavy object in the dish. You can switch out stacks of paper towels until there is no more moisture present. Professional carpet cleaning is recommended using the hot water extraction method. Do not dry clean your Rugs and or use bleach.